Ubuntu’s choice of going with Gnome and Why not KDE? Or Why not Mate? You can contact or check out Michael Tunnell’s work by visiting one of the links below. Version 26 comes with a lxqt spin aswell. I always used to have this problem. Instead of a reboot I found online (can’t remember where) using ‘Sudo systemctl restart network-manager’ Worked and prevented a reboot. 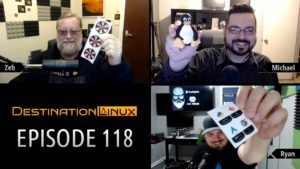 destination linux is really a great , show! i wanted to comment on the kde sound switching issue. when you click on the sound icon in system tray, switch to the applications tab, there you can drag an drop the application sounds to your audio devices, there are also options in the sound settings, to change the behavior of the switching (change just one application or change all apllications at once for exampe).